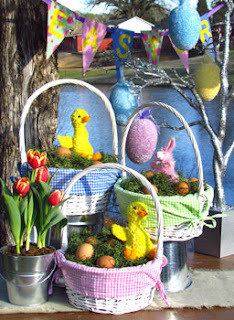 I'm taking pre-orders for Easter baskets. White wicker available with pink, green or blue gingham liner. $25 embroidered name included! Let me kow if you are interested and I will send you a paypal invoice! Orders must be placed by February 28th! My name is Dedra Rainey. I have two beautiful children - Addison, 5 1/2 and Jaron, almost 4 with another on the way. I spent several years teaching public school, then working as the Worship Director at my church, and as a teacher in my church preschool. I have an embroidery business that I run from home that allows me to stay home with my kids and homeschool. All content © 2011 Sew Blessed Embroidery | All Rights Reserved.